Now faith is the assurance of things hoped for, the conviction of things not seen. 2 For by it the people of old received their commendation. 13 These all died in faith, not having received the things promised, but having seen them and greeted them from afar, and having acknowledged that they were strangers and exiles on the earth. 14 For people who speak thus make it clear that they are seeking a homeland. We have a hard time with the understanding that the, “earth is a desert drear”. Never before in the history of the world have so many people enjoyed the life that just a century before was limited to the wealthy few: indoor plumbing, single family dwellings, lawns, automobiles, flying, vast entertainment and education possibilities through, radio, TV, internet. We like it here. We are very much at home here. We hold on for dear life. Our faith is not bound in hope, but for this world alone. We know by the Lord’s scarred hands that this world is not the final resting place. Christ is. I am, maybe like you, not too crazy about dying…but when we know sin is death and Christ is life eternal, seeking His homeland is sanity in this dark world for which Christ died. 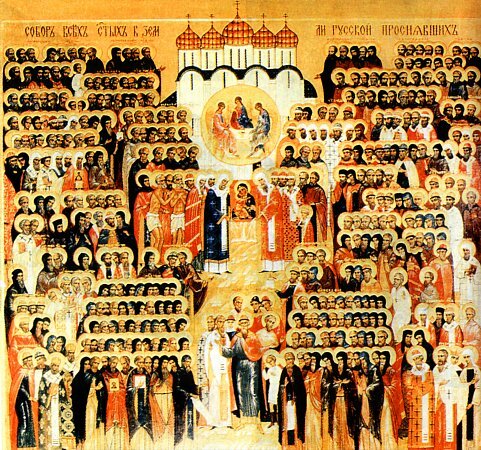 In Hebrews chapter eleven’s Hall of Heroes of the Faith, all the saints were looking forward in hope, in the hope of Christ to come. They had no cathedrals, except the Temple not made with human hands: Jesus Christ (John 2:21; 1 Corinthians 3:17 ). We pray many will hear the Word and come to faith and join the journey. They lived as pilgrim-heirs of His salvation. Lord God, You have called Your servants to ventures of which we cannot see the ending, by paths as yet untrodden, through perils unknown. Give us faith to go out with good courage, not knowing where we go but only that Your hand is leading us and Your love supporting us; through Jesus Christ our Lord. Amen.